Hizbullah agents have infiltrated Gaza and are training local terrorist groups, says the Minister of Strategic Affairs. Hizbullah agents have infiltrated Gaza and are teaching local terrorist groups more advanced tactics, Minister of Strategic Affairs Moshe Yaalon warned Thursday. The Lebanon-based terrorist group even has a special unit that deals with terrorists in Gaza, Judea and Samaria, he said. 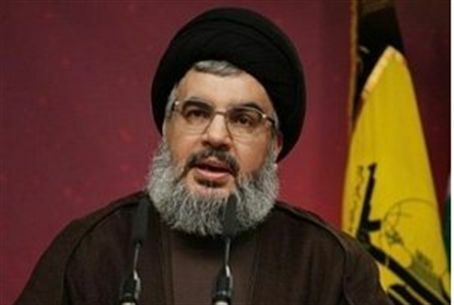 The Hizbullah presence in Gaza began after Israel's withdrawal in the 2005 “Disengagement,” he said. Yaalon, a former IDF Chief of Staff, said Hizbullah agents could enter Gaza “like the Iranian rockets are coming to Gaza.” Rockets are smuggled into Gaza from Egypt via a system of tunnels under the border. Terrorists can move from Lebanon to Sudan, then to Egypt, and from there to Gaza, he said. Hamas denied Hizbullah involvement in Gaza. “All the factions in Gaza are Palestinians,” said spokesman Fawzi Barhoum. Previously Israel has revealed that Hizbullah funds terrorist groups in Judea, Samaria and Gaza, and helps train terrorists from those regions who make their way to Syria. Hamas in Gaza in particular has used Hizbullah's strategy in recent years as opportunities to infiltrate Israel dwindle. Instead of focusing on suicide bombings as it once did, the group began putting its energy into rocket attacks on civilians – Hizbullah's favored form of attack during the Second Lebanon War.